I recently finished a small book (86 pages) by Dietrich Bonhoeffer entitled Psalms | The Prayer Book of the Bible. It was recommended to me by some other music and arts pastors within our network, and it has proven to be the most impact full 86 pages I have read recently, outside of actually reading the Psalms. I would like to recommend it to you now. 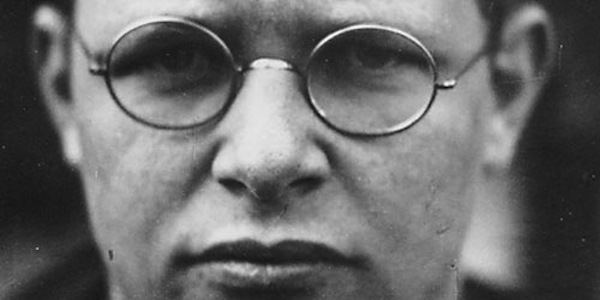 Throughout his life Bonhoeffer not only read the Psalms, but was spiritually formed by them as he would go on to become one of the greatest witnesses and martyrs for Jesus Christ the church has ever known. It was his simple, yet rigorous, discipline of daily reading the Psalms that was so significant in his spiritual formation and the development of his courageous life. The fact that he wrote a short yet profound book entitled The Psalms | The Prayer Book of the Bible during the same period of time as Life Together | The Classic Exploration of Faith in Community and The Cost of Discipleship speaks volumes about his love for this book of the Bible. It is even more astonishing when you understand when he wrote this book: in the late 1930’s at the height of the Nazi regime under Adolf Hitler, and at the rise of an idolatrous German church wedded to the Nazi’s. It was Bonhoeffer who led the Confessing Church in providing an alternative and prophetic voice within Germany. His vision was for a Christian community that shared its whole life together, that was fully committed to Christian discipleship, and was daily shaped and formed by the reading and singing of the Psalms. Wherever the Psalter is abandoned, an incomparable treasure vanishes from the Christian Church. With its recovery will come unsuspected power. – The Psalms | The Prayer Book of the Bible by Dietrich Bonhoeffer, page 26. So why was Bonhoeffer so fond of the Psalms? What he found so amazing was that in the Psalms we have both the Word of God, and the prayers and songs of human beings. 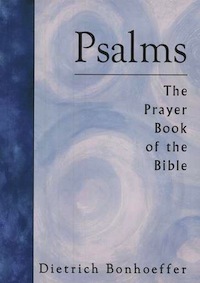 The Psalter is the prayer of Christ for his church in which he stands in for us and prays in our behalf…In the Psalter we learn to pray on the basis of Christ’s own prayer [and] as such is the great school of prayer. It is the incarnate Son of God, who has borne every human weakness in his own flesh, who here pours out the heart of all humanity before God, and who stands in our place and prays for us. – The Psalms | The Prayer Book of the Bible by Dietrich Bonhoeffer, page 20-21. It is a dangerous error, surely very widespread among Christians, to think that the heart can pray by itself…Prayer does not mean simply to pour out one’s heart.” – The Psalms | The Prayer Book of the Bible by Dietrich Bonhoeffer, page 9. God has given us words to guide our prayers. Just like we teach our children to speak properly and how to phrase things to communicate respectfully and effectively, so also our heavenly Father has given us instruction in the Psalms on how to address Him properly. So we learn to speak to God because God has spoken to us and speaks to us. – The Psalms | The Prayer Book of the Bible by Dietrich Bonhoeffer, page 11. If we wish to pray with confidence and gladness, then the words of Holy Scripture will have to be the solid basis of our prayer. – The Psalms | The Prayer Book of the Bible by Dietrich Bonhoeffer, page 11-12. It does not depend, therefore, on whether the Psalms express adequately that which we feel at a given moment in our heart. If we are to pray aright, perhaps it is quite necessary that we pray contrary to our own heart. Not what we want to pray is important, but what God wants us to pray. If we were dependent entirely on ourselves, we would probably pray only the fourth petition of the Lord’s Prayer. But God wants it otherwise. The richness of the Word of God ought to determine our prayer, not the poverty of our heart. – The Psalms | The Prayer Book of the Bible by Dietrich Bonhoeffer, page 14-15. This is pure grace, that God tells us how we can speak with him and have fellowship with him. – The Psalms | The Prayer Book of the Bible by Dietrich Bonhoeffer, page 15. May we become a people who are shaped and formed by the Psalms to be a courageous witness for Jesus Christ. May we become a Christian community here in Richmond that not only lives all of life together, but is committed to a life of Christian discipleship, formed by the deep and unsettled waters of the Psalms. Thank you so much – this is truly beautiful, and so profound! I shall treasure the words, and do love the Psalms very much. This has given it even more depth! Bonhoeffer died many years ago, but his rich teachings still stir the heart deeply, thanks for passing it on. At the moment I am reading Dietrich Bonhoffer’s book entitled, “Christ Indwelling and Enthroned”, It is I think, a masterpiece.